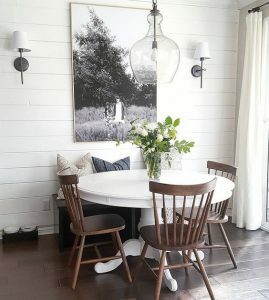 Thinking about updating your dining room? 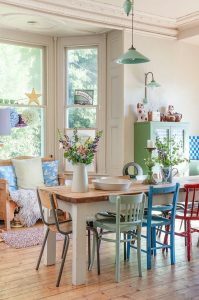 Here a few simple tips on how to give your dining room a floor to ceiling makeover! 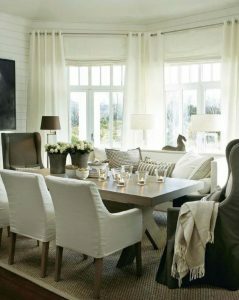 Bring more warmth and coziness to your dining room by adding more upholstery, an area rug to anchor down the space, floor to ceiling drapes, and a fabric table cloth. 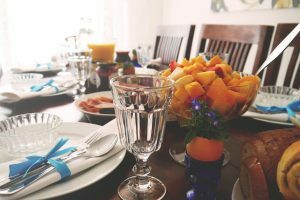 You, your family, and guests can sit back and relax while enjoying a good meal. If you and your guests spend most of the time in the dining room, eating, drinking, and playing card games, try painting your walls a different color than your living room to separate the spaces and add more character. Try wallpaper! 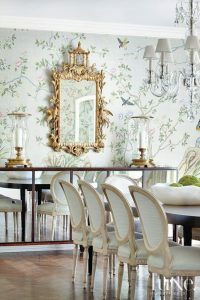 Wallpaper is not a thing of the past, from floral to cool graphics, your dining room can get a makeover with this creative style. Decorating your walls is not the only option. A collection of eclectic seating will enhance the look and feel of your dining room. Mix and match a wooden bench with an upholstered chair, or experiment with various colors or styles. You can also update your dining seats with slipcovers. Slipcovers come in different colors and patterns. Monograms are also welcome! Dining room lighting can either make or break your dining experience. A great ceiling light definitely adds charm and can be the main focal point in your dining room. Try an industrial look or a modern chandelier! Adding dimmers lets you control the ambiance to fit any occasion. 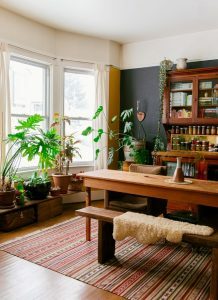 Flowers, house plants, succulents, natural woods, will bring more life into your dining room. A pot of succulents is a great centerpiece because they’re low maintenance and perfect for all occasions.